Summer has arrived, and suddenly you have a million choices of where you should go on a June road trip. For the next three months, the weather should be pretty great, anywhere you want to go in the U.S. So how do you decide where you should go? Rather than list all of those million good choices, I’ll select a few possibilities that you might not have considered — that might give you a summertime vacation to remember forever. When summer arrives, people pack into America’s National Parks — so much so, that the crowds, lines, and traffic can ruin your visit. So why not choose a park that doesn’t get a lot of visitors? Capitol Reef National Park sees 1/4 the annual visitors of Zion, its neighbor to the south (a park that’s almost half the size). But you still get dramatic canyons, towering red-rock cliffs. Hikes like the Golden Throne and the park’s scenic drive are unforgettable. And as a bonus, you can add a drive through the Waterpocket Fold and down U-95 to the Colorado River or the incredible U-12. Salt Lake City and Las Vegas provide the closest starting points. You could also begin in Denver and Albuquerque, if you don’t mind a longer drive. It’s all about beating the crowds. 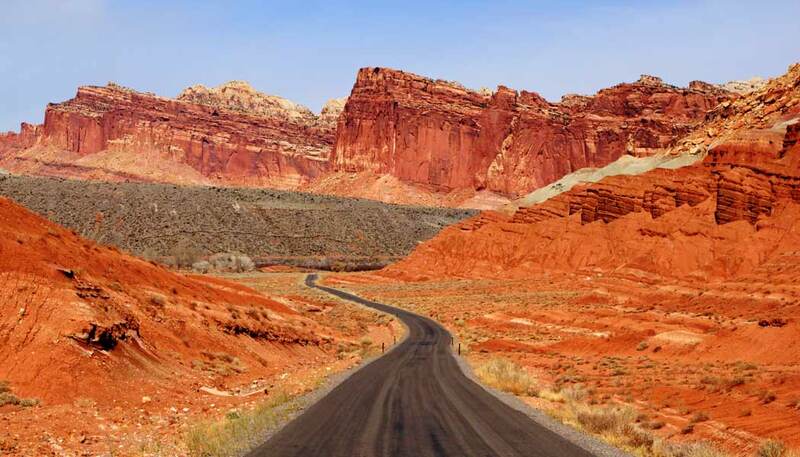 If Capitol Reef might be more pleasant temperature-wise in the spring or fall, but if you’re limited to the summer months for your vacations, this is the place to avoid the crowds. There’s really no trade-off — you’ll still enjoy spectacular scenery and some great hikes. Is it too hot outside for you to enjoy a June road trip? Why not take your trip underground? 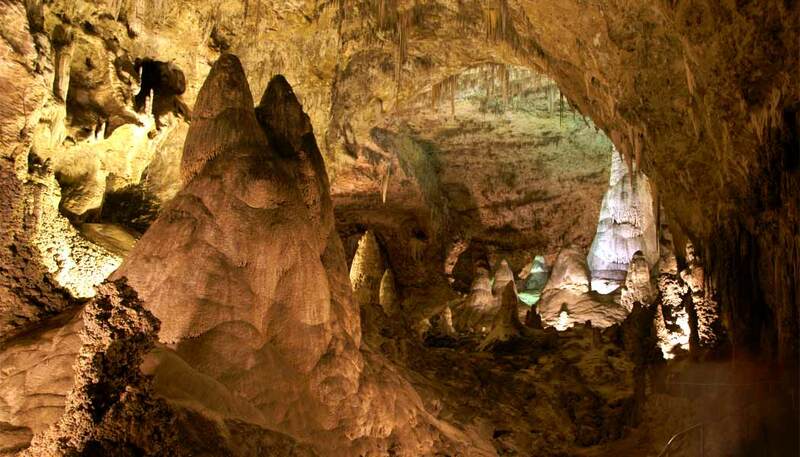 It’s always about 56° F (13° C) in Carlsbad Caverns National Park. Think of this park as being as majestic as the Grand Canyon, with a roof. You can easily spend a day exploring different routes on perfectly safe, well-lit paths, and even have lunch underground. If the weather isn’t too oppressively hot outside, consider a short drive across the state line from New Mexico into Texas for a visit to Guadalupe Mountains National Park. There, you can hike to the highest point in the state of Texas, Guadalupe Peak. Other hiking trails are easier to reach, with some areas around 6,000 feet, meaning they’ll be cooler than the surrounding desert. El Paso is the biggest city nearby. It’s just 115 miles to Guadalupe Mountains National Park and 150 miles to Carlsbad Caverns. Midland/Odessa and Lubbock are just a bit further, and of course, Albuquerque is also a good starting point (although it requires a 300+ mile drive). Since it’s underground, Carlsbad Caverns is great to visit anytime, but in the summer months it will provide a nice break from the heat. Olympic National Park provides a centerpiece for natural attractions on the peninsula west of Seattle, but there’s plenty more to see than just the park. Great towns like Port Angeles, historic Port Townsend, and vampire-crazy Forks are all worth exploring. You can also drive out to the northwestern-most point in the U.S. at Cape Flattery. As for the park itself, June is a great time to visit. At Hurricane Ridge, you might still find some snow, but the trails should be open and the wildflowers blooming. 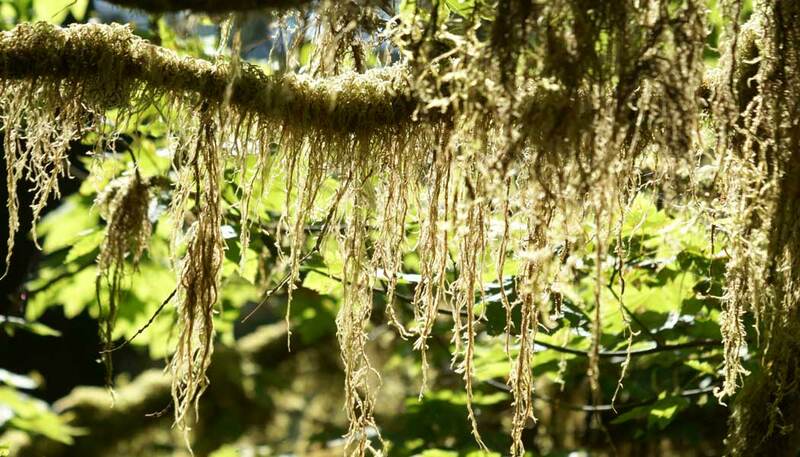 As the name suggests, the Hoh Rainforest can be rainy any time of year, and you can run into foggy conditions along the coast. Seattle is your best option for a starting point. Portland, Oregon, would also be acceptable, giving you the chance to add a coastal road trip as you travel north. For Canadians, flying into Vancouver, British Columbia might be cheaper than an international flight. Olympic National Park’s busiest months are July and August, so you’ll beat some of the crowds by arriving early. Although it can still snow at higher elevations in June, odds are pretty good that much of the snow will have melted by June (especially later in the month) and trails should be passable. If you don’t want to roll the dice on rainy weather on Washington’s coast, why not head inland? Eastern Washington features an interesting area of rolling hills known as the Palouse. Intriguing towns such as neon-filled Pomeroy and the twin cities of Clarkston and Lewiston can fill a day with road-tripping fun. Then, head up Idaho’s North-South road, US 95, to visit some comrades in Moscow and take in some verdant rolling farmland. Or, head south and check out Hells Canyon, along the Idaho/Oregon border. Spokane is close-by, but I’ve never seen a really good airfare into GEG. If you want to make a June road trip out of it, fly into Portland (350 miles) and experience the Columbia River Gorge on your way east. Seattle and Boise are also options. Lower temperatures than you’ll find in July and August. This area is off-the-beaten-path, so you shouldn’t face big crowds. 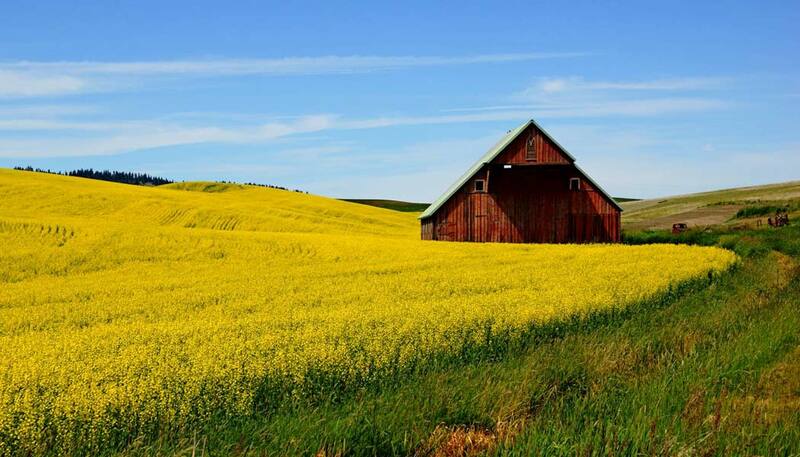 The Palouse should be beautiful as it comes to life this time of year.